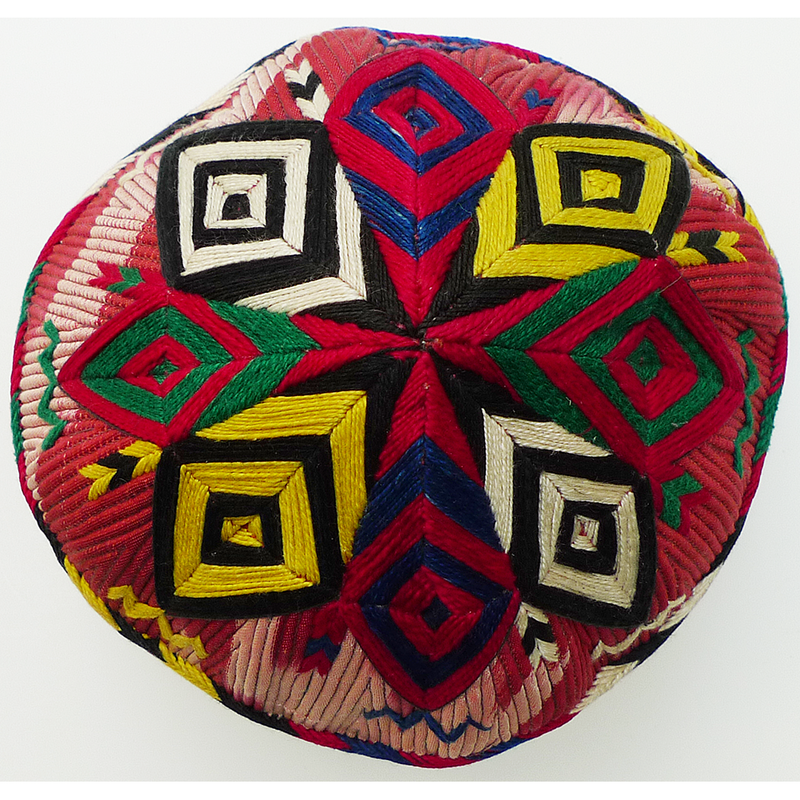 This hat was most likely made in southern Uzbekistan by a woman from the Uzbek-Lakai tribe. 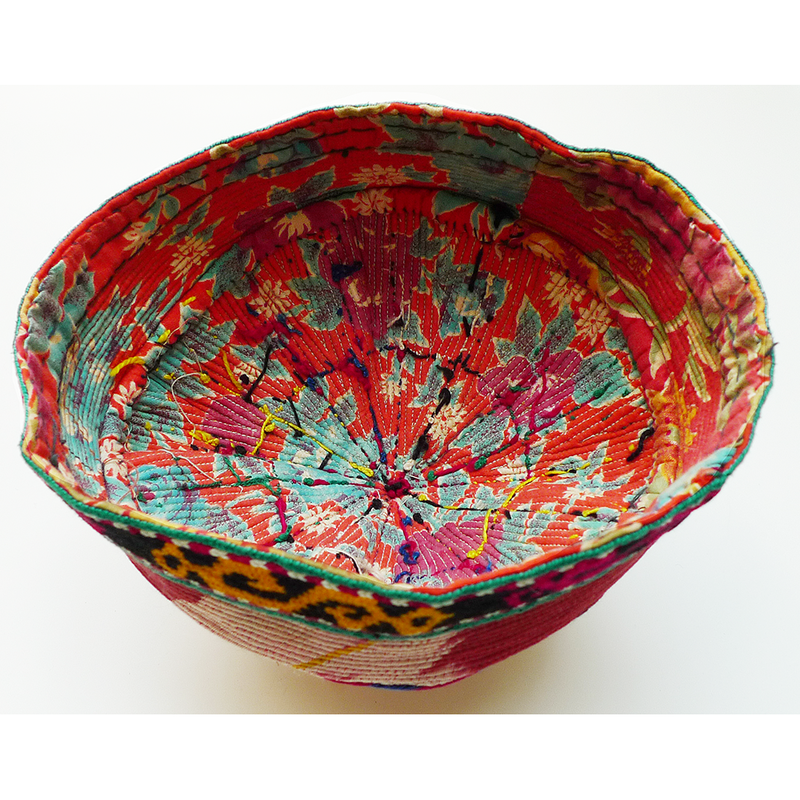 Narrow rows of tight machine-stitches create a pleasing ribbed effect. The hat would probably be best used for display purposes. It’s too small for an adult, but would fit a child. 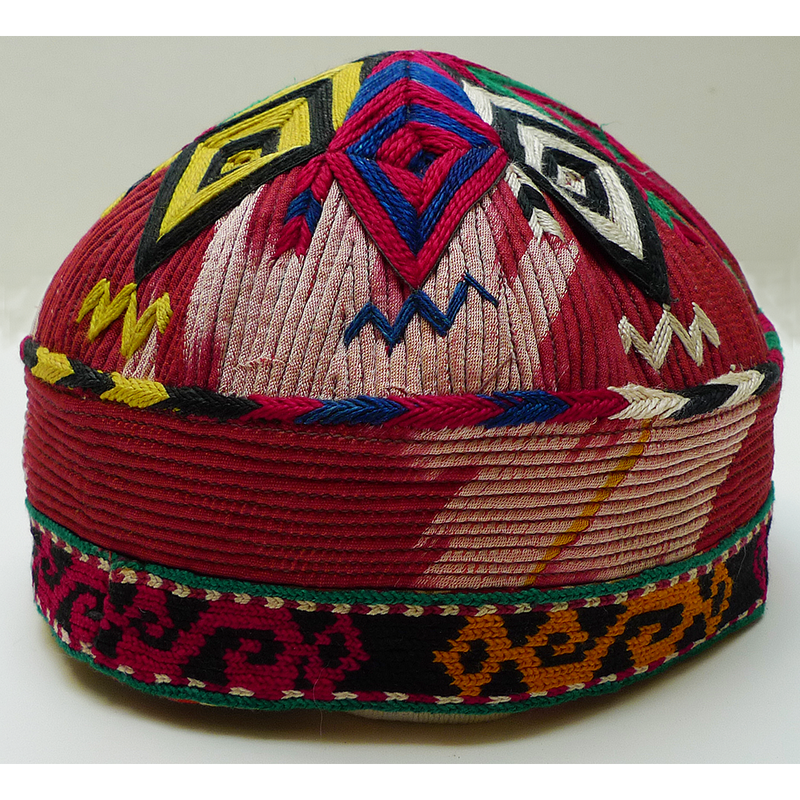 If you are interested in this hat please contact Susan Meller.